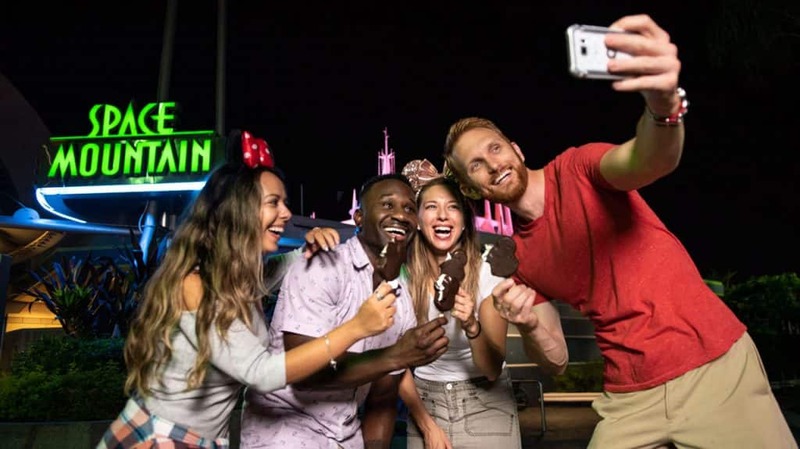 Disney – Disney After Hours has been a huge success with guests looking for the opportunity to experience the magic at Magic Kingdom Park after the sun goes down. 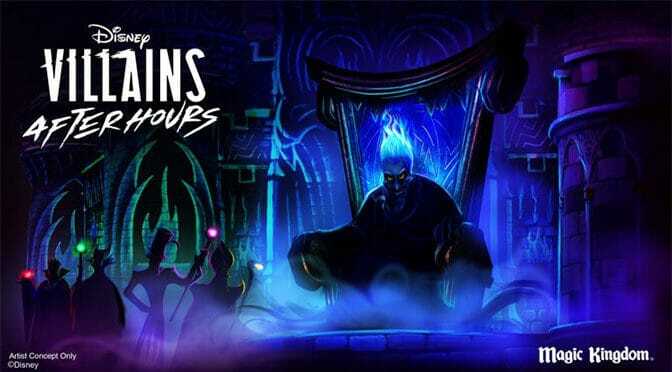 Here’s a new reason to delve into the delights of Disney After Hours this summer – Disney Villains will add a wicked twist to Disney After Hours event nights June 6-August 8! What do you think about this new After Hours offering? I REALLY hope they figure something out and offer Villain meets for after hours during the halloween season or something! Our whole household loves the Villains! No meet and greets? No interest in going? It says “while they are doing the stage show” there are no character greetings. I would want clarity from Disney. Doesn’t sound like No Greetings, just not to expect them during the stage show. I think wording choice is a little confusing. Will the number of tickets sold still be a small, limited amount like the traditional After Hours? Kenny, I thought MK sold out once last year and once this year (early March). I’ve been twice and I highly recommend this event. You could be correct on that. I didn’t track it. It surely has not sold out as often yet, as AK. Fun but not without the meet and greet. So MNSSHP creeps into Extra Magic Hours but costs more. Chapek works for the wrong company. Perhaps a job at Gringots more suitable. Kenny, do you expect Disney to extend the after hours events into July as well? The Villain After Hours is currently from June 6 to August 6, so yep, includes July. will there be meet and greets? so i had thursday June 13th as a Magic Kingdom day, does that mean i will have to leave the park by 10pm? That’s a really expensive stage show! I have mixed feelings on this as i am going the end of August so I will be attending Not So Scary while there and am still waiting for the Toystoryland and Animal Kingdom after dark dates to be extended to my stay. That being said I love the idea of new Villain themed events and shows which is long overdue, BUT I am always waiting expecting there to be something more Star Wars themed to be announced for Hollywood Studios around the opening of Galaxy’s Edge. Not to mention the skyliner and Mickey & Minnies runaway railroad. Perhaps this show is a way to offer something new using what they already have so keeping the cost low and entertaining the end of summer crowds. I am taking a wait and see approach on it. They have been doing the after hours for a few years now and I have not seen a reduction in hours because of this. Hours were reduced before they started this. Actually, the reduction in park hours did coincide with After Hours events. I think there was, Tammy. But I am saying so because it’s the lack of extended hours that have historically (ha ha, what’s History today, right? It’s history.) Whereas parks used to have extended hours on busier park attendance seasons. They would usually extend them pretty close to the trip. sometimes in the am. sometimes pm. Usually in May, when we’d go, we could count on extended hours, which was great if not staying on site. That’s now gone, as the park closes at 9 or 10 to do the after hours gig. If the majority of the people want the parties and after hours events, and Disney is making a profit, all of us regular park guests will have to adjust, I guess. It’s for sure less value in my opinion. But everyone defines value differently, so my opinion, fact based may it be, may seem wrong to other people. That’s ok. We all get something different out of WDW. That’s what makes it so amazing! Any thoughts of this continuing through Halloween season, and possibly expanding to more than a once a week event? Sorry to reply to my own comment. I’m recalling a Tuesday in mid-late October when Magic Kingdom closes at 6pm, and MNSSHP is Sun/Mon rather than Sun/Tuesday. I wonder if this event will be held that evening. I thought it was odd when you first released the calendar that MK shut down at 6pm on a Tuesday evening right before Halloween. Do you think they will go back to regular after hours after August 8th? We arrive on the 15th and stay till the 24th and were really hoping for an after hours at Magic Kingdom. I agree with Katharine, no meet and greats? What’s up with that? Hoping that one of the dates corresponds with our MK day. This will possibly turn it in to something like MNSSH …like a party…I wanted quiet really (as do so many whether its for a change of pace or a special need) not stage shows.. But at least the AH’s are happening in July so thats good. I’ll give it a whirl if I can get hold of the tickets. Sounds like it will be a blast and would love to be there (but don’t have a trip planned during those dates); however, I think they are making a MAJOR mistake in not letting the villains participate in meet & greets! There are so many people who enjoy the villains and would take advantage of this even for the meet & greet alone. I think that may deter some people from spending the extra money if they can’t meet them. Personally, I would think twice about it because meet & greets are my favorite! I was interested until the no meet and greets part. Wow. Sounds like a great experience but prices are certainly creeping up! Agreed. Meet and greets would be great.